Before I began looking into my family tree I only had my personal memories of my family. My father had four aunts, sisters of his mothers. I never met them, but they sent me cards and postal orders (remember them?) every birthday and Christmas. It was the 1960s, and children had to send the obligatory thank you letter. I imagine/hope that’s died out now, and parents don’t insist on sitting their offspring down and forcing them to write two sides of a page. ‘Tell them what you got for your birthday’ … ‘Tell them what you’re going to do with the money’ … ‘Say how well you’re getting on at school’. These days it must all be done via text message, Facebook or phoning people up and talking to them. Of all the letters I was made to write, it was always Grand aunt Grace that I had to correspond with first. Almost as soon as I received the postal order I was made to sit down with some paper and told what to write. 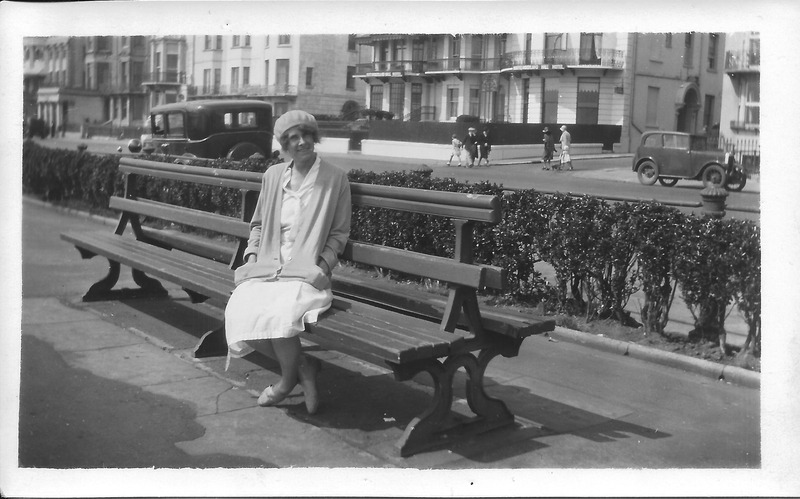 If I was too late, she would let my parents – via my grandmother, know how rude I had been not to say thank you. So I was scared of her. I never met her, but in my head I had a picture of someone very frightening. No one talked to my parents like that! Who was she? It was explained to me that she had no children and didn’t understand them, but her sisters Olive and Rose didn’t have any children and they were lovely. Now, some fifty years later I feel as though I’ve got to know her, through photographs, ancestry research and documents. I don’t need to fear her. She has become one of my favourite ancestors! I love the pictures of her, and from looking back at her life, she was so independent and strong. I would love to meet her now. The ironic thing is that I actually could have met her. 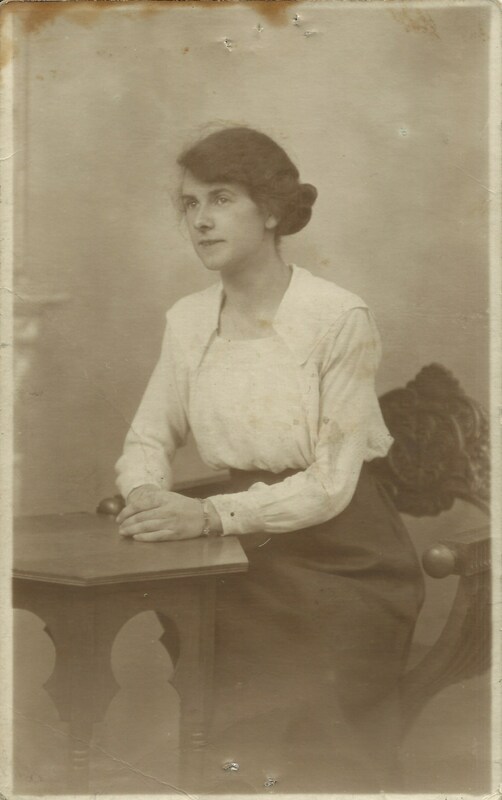 Born on the 2 March 1900, she died in June 1983. I’d no idea she was alive when I got married, and my daughter was born in June 1983 so they could also have met. Here are some photographs of her. 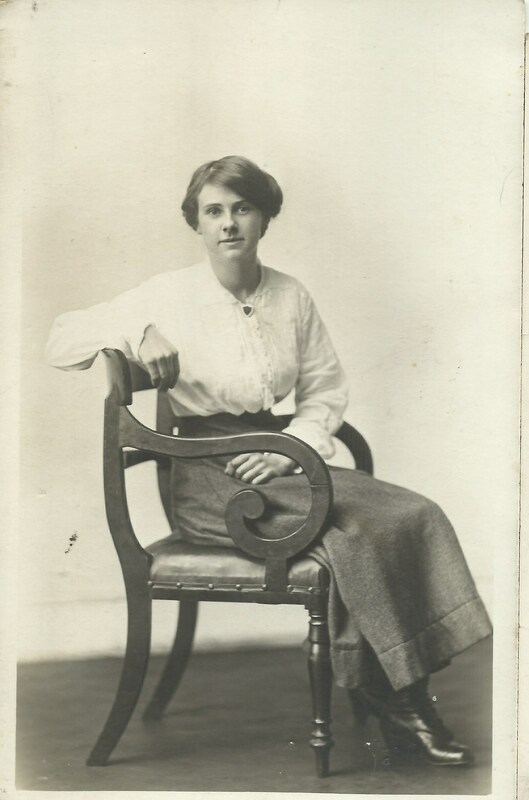 She was the youngest of the five Cleeve sisters. 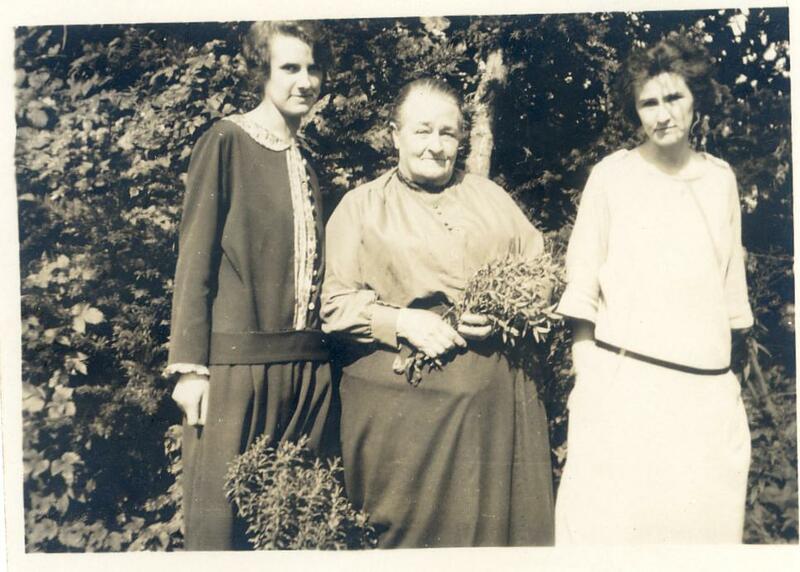 Grace, Agnes (mother) and Olive Cleeve left to right. This entry was posted in CLEEVE, Grace Cleeve, jackiedinnis, Letters and tagged family, family members, fear, Sisters, thank you letters. Bookmark the permalink. I have had such relatives, teachers and neighbors. It’s curious to see how images get etched into our minds when we are young. I have found that sometimes such disciplinarian figures have a positive impact on our intellectual and social growth but might as well be traumatic experience which takes a long time to heal. I think when I was a child that most adults scared me, and I had a respect for them. It’s good to look back now, and get to know them again. To see them through new eyes. I hope I don’t scare young children! Thanks for thoughts on the Great Aunts. I had some wonderful ones. Might use it for a blog idea. 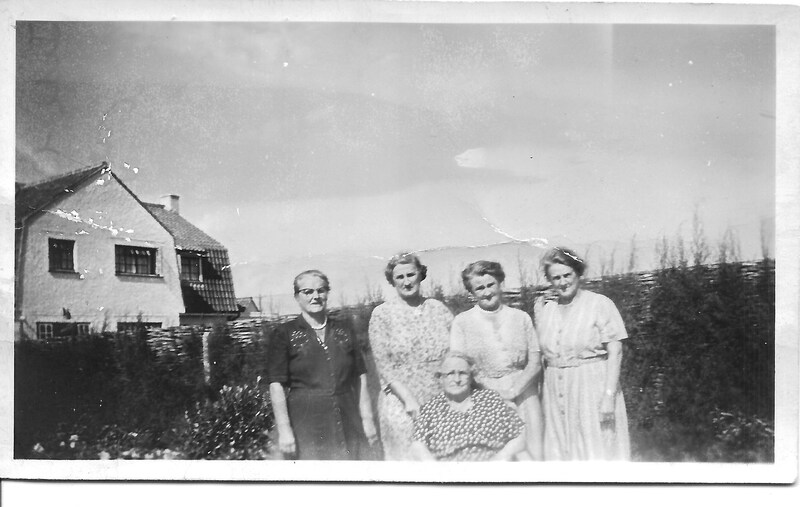 The Great Aunts are just full of interesting stories, it’s just fascinating to look back at them and know a little more of what was going on for them. As a child it didn’t occur to me that they had their own lives! Oh yes, I remember the days of postal orders and thank you letters. And ‘elderly’ people always seemed scary and more elderly than they actually were! It’s lovely to look back, I really enjoyed the postal orders, but I was always made to deposit them in the Post Office savings account. I would have loved to be allowed to go shopping and spend them! I wish I’d met my great aunts, but I’m really lucky that my cousin met them.